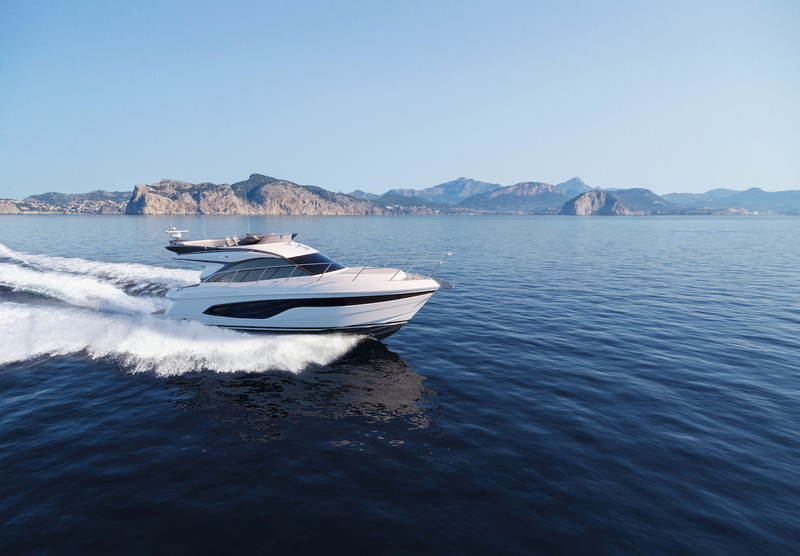 Princess Yachts celebrates 50 years of boot Düsseldorf with global launches of the Princess Y85, V78 and F45. Princess Yachts showcase at the 50th anniversary of boot Düsseldorf was an exceptional line-up of 11 yachts, including the global launches of the Princess Y85, V78 and F45. the showcase also include three show debuts – the revolutionary Princess R35, the V60 and F70. The Princess S65, S78, F62, Y75 and Project 31 rounded out the display. The Princess Design Studio and Olesinski worked closely with Pininfarina for the Y85. The design team focused as much on interior layout and use as on exterior detail. The flybridge focuses on al-fresco living and relaxing. A large dining area sits opposite a fully-equipped wet bar, barbecue and fridge, further complemented by a large aft sunpad and forward-facing seating either side of the helm position where guests can take shade underneath the dynamic architectural form of the optional louvred hardtop. 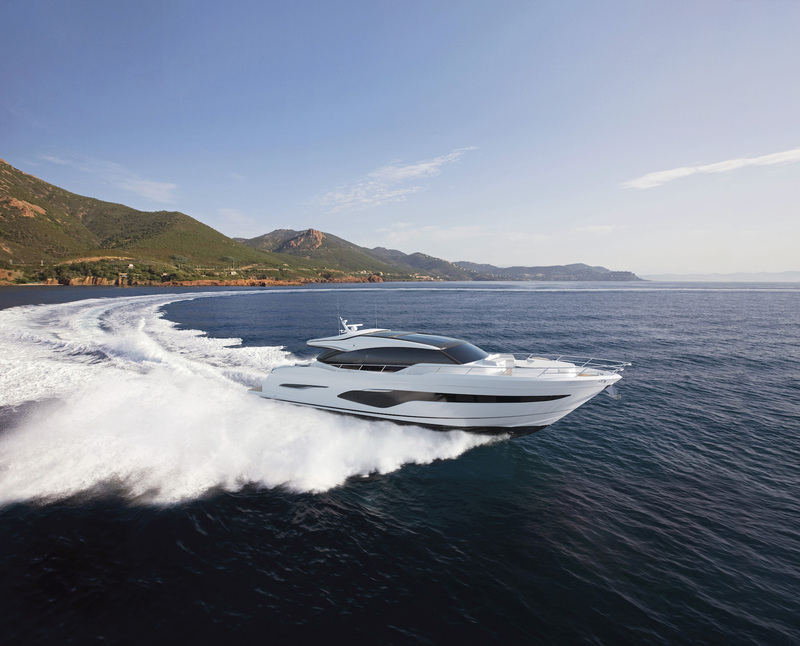 The all-new Princess Y85 flagship Motor Yacht. The V78 is flying the flag for the V Class range. The F45 is dynamic, spacious and focused on life at sea. Positioned as the new flagship in the iconic Princess V Class range, the V78 delivers on a clear brief for the modern sports yacht owner’s demands – elegance of form, quality of materials, perfect practicality and inspiring dynamics – and will appeal to V Class loyalists looking for a step-up in size and performance as well as new clients searching for athleticism and elegance. 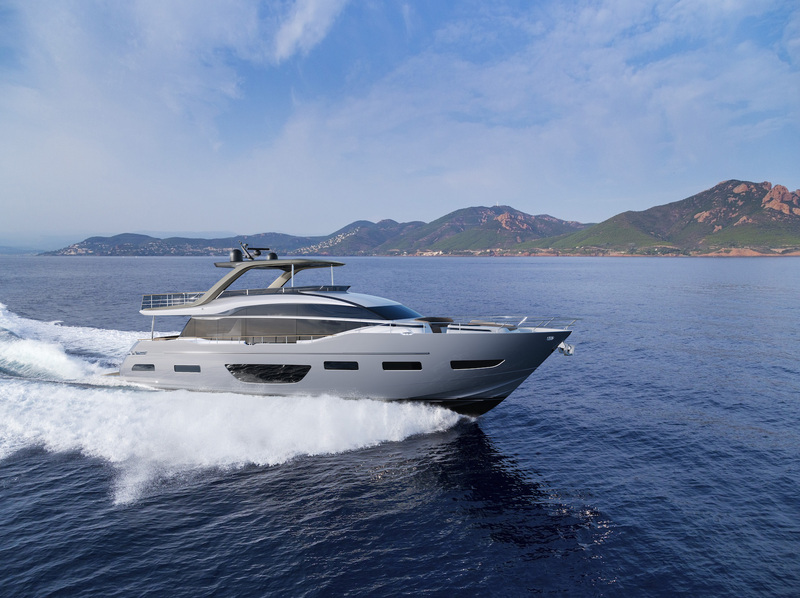 The brand-new Princess F45 flybridge delivers space, design quality and flexibility in a compact flybridge yacht that features a full-beam owner’s cabin, extended flybridge and a unique electronically-controlled sliding transom, which increases the size of the cockpit area at the touch of a button by 60 cm.